Local anesthesia is a type of pain prevention used during minor procedures to numb a small site where the pain is likely to occur without changing the patient's awareness. You are likely familiar with local anesthetics being used for dental procedures and for numbing an area that needs to be stitched. Unlike general anesthesia where the entire body is paralyzed and the patient is unconscious, local anesthesia allows the patient to remain awake and alert during a procedure. It involves only a small area, whereas regional anesthesia is used for a whole arm or leg, for example. 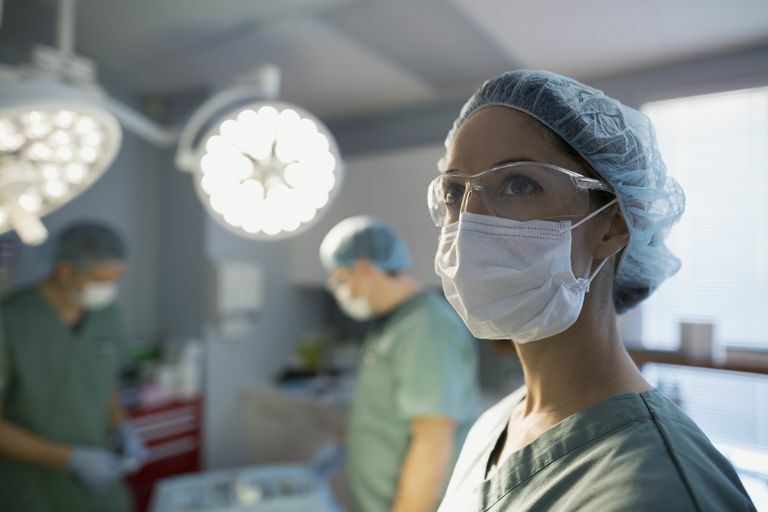 This type of anesthesia is typically used for minor procedures that can be completed in a short time and the patient is expected to return home the same day. It also is used when the muscles don't need to be relaxed. During the administration of local anesthesia, a numbing medication is either applied to the skin as a cream or spray or injected into the area where the procedure will be performed. If the medication is injected, this is sometimes done with several small injections. A few minutes after the injections have been given the area should be completely numb. If the area still has sensation, additional injections or applications may be given to ensure total numbness. While the goal is to prevent pain, it is also true that the injection of local anesthetics is itself often quite painful. You should be prepared for this brief bit of pain in order to not have the pain of the rest of the procedure. Some pediatric hospitals numb the site where an IV will be placed to decrease pain. The drugs used as local anesthetics are related in structure to cocaine, which was historically used for this purpose. But they differ from cocaine in that they can't be abused for the same effects and they don't produce hypertension or vasoconstriction. These drugs act on the pain receptors, the nociceptors, decreasing the rates at which they can fire. The drugs used as local anesthetics often end in -caine, such as benzocaine, lidocaine, and novocaine. There are also some naturally derived local anesthetics such as menthol that can be used to provide relief or prevent pain.. Which drug you may be given and how much depends on whether you have any allergies, the previous reactions you or your family members have had to anesthesia, other medications you are taking, the length of the procedure, plus your age, height, and weight. The administration of anesthesia requires many years of education to truly understand the needs of the patient and to anticipate the anesthesia each individual needs. Local anesthetics are usually safe, but an individual can be unusually sensitive to the drug and have problems with a heartbeat, circulation, breathing, or brain function that require emergency care. This must always be available wherever they are used. Local anesthesia is very safe and is frequently used to minimize the pain a patient experiences during minor procedures. These procedures are typically quick and are done on an outpatient basis where the patient returns home the same day. For more serious surgeries, twilight sleep and general anesthesia are available to make the patient unaware of what is happening. About Anesthesia. The Nemours Foundation. http://kidshealth.org/en/teens/anesthesia-types.html.